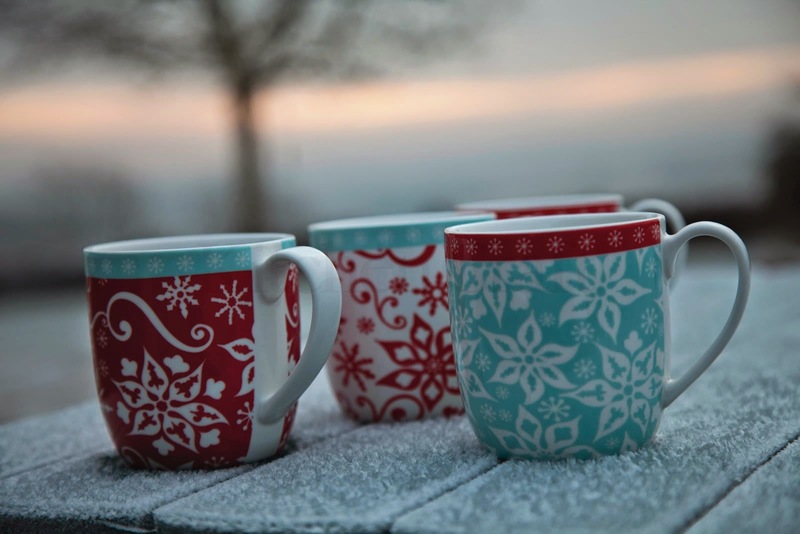 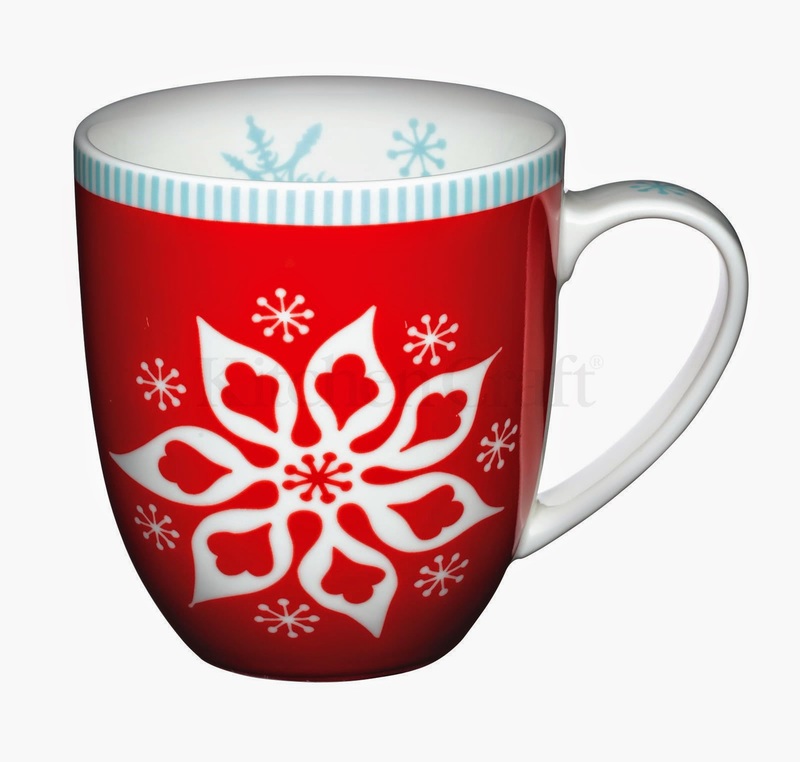 Christmas is nearly here and if you're still looking for last minute Christmas presents, my 'Let It Snow' patterns are available on a large selection of products that would make lovely gifts, including 5 different but complimentary porcelain mugs. 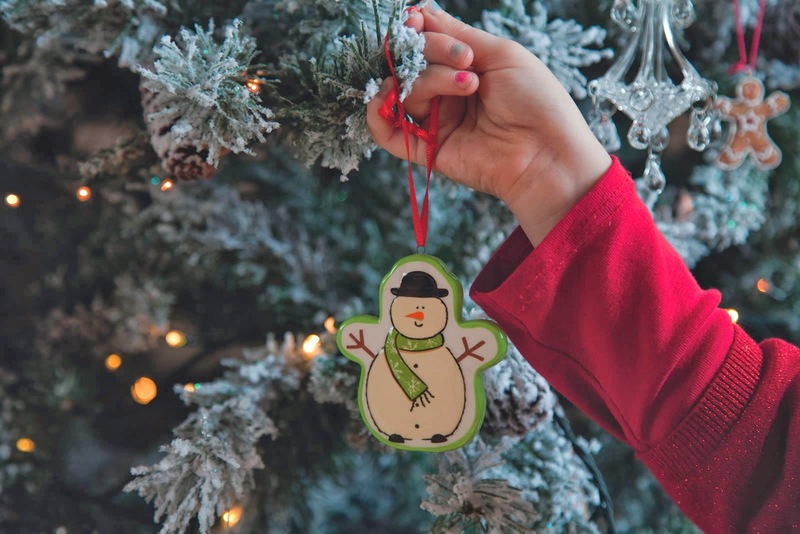 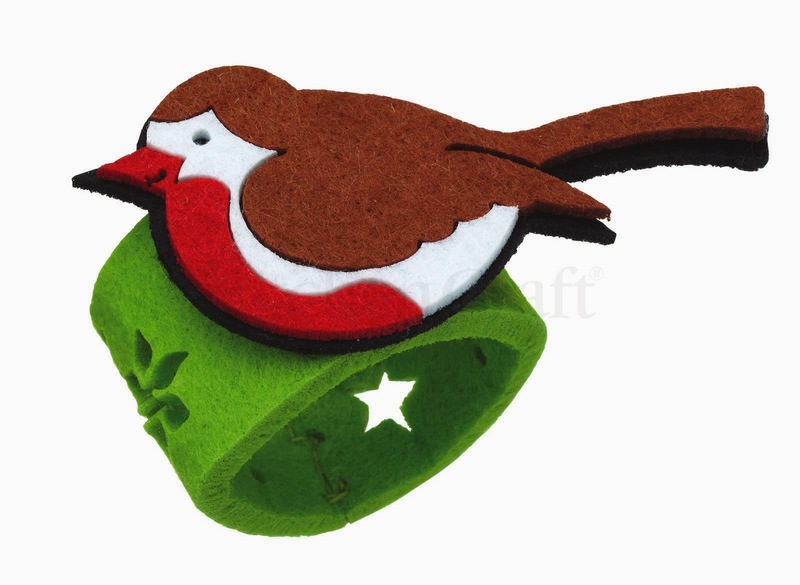 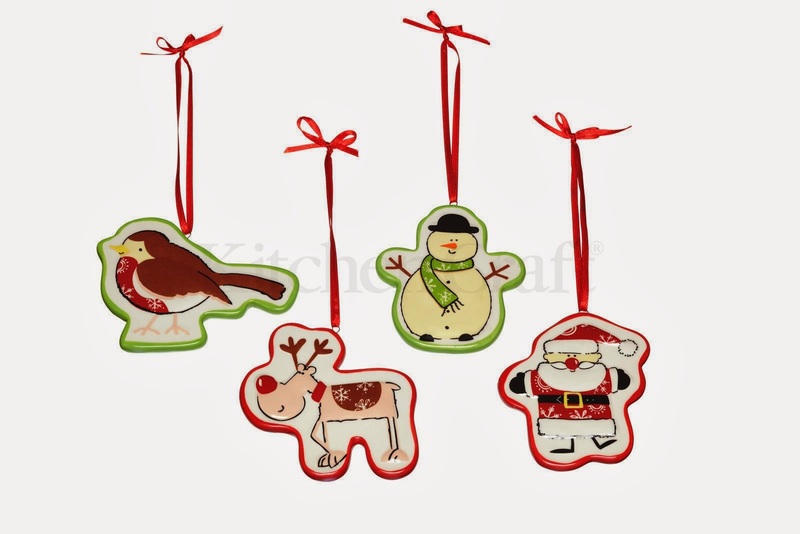 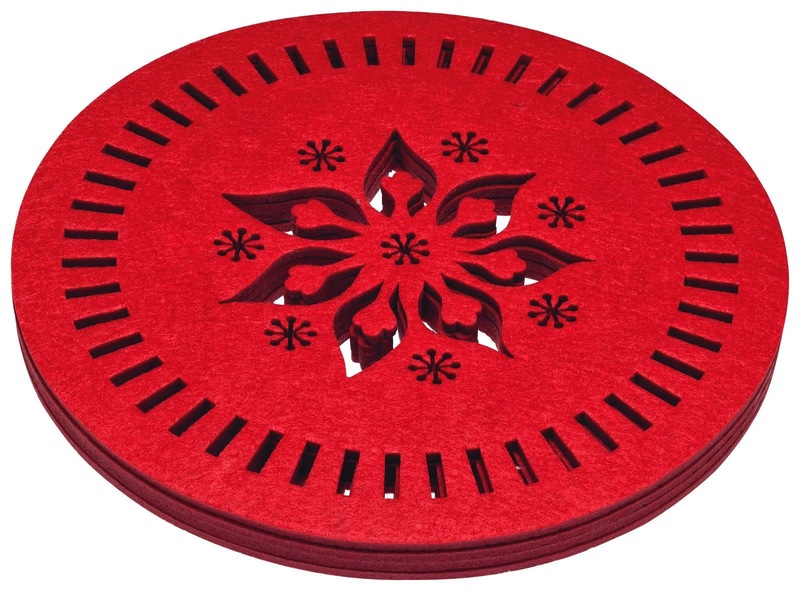 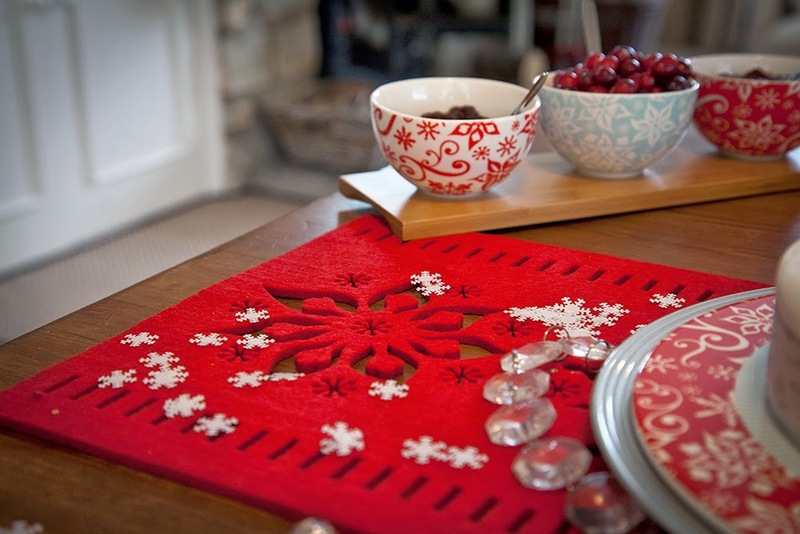 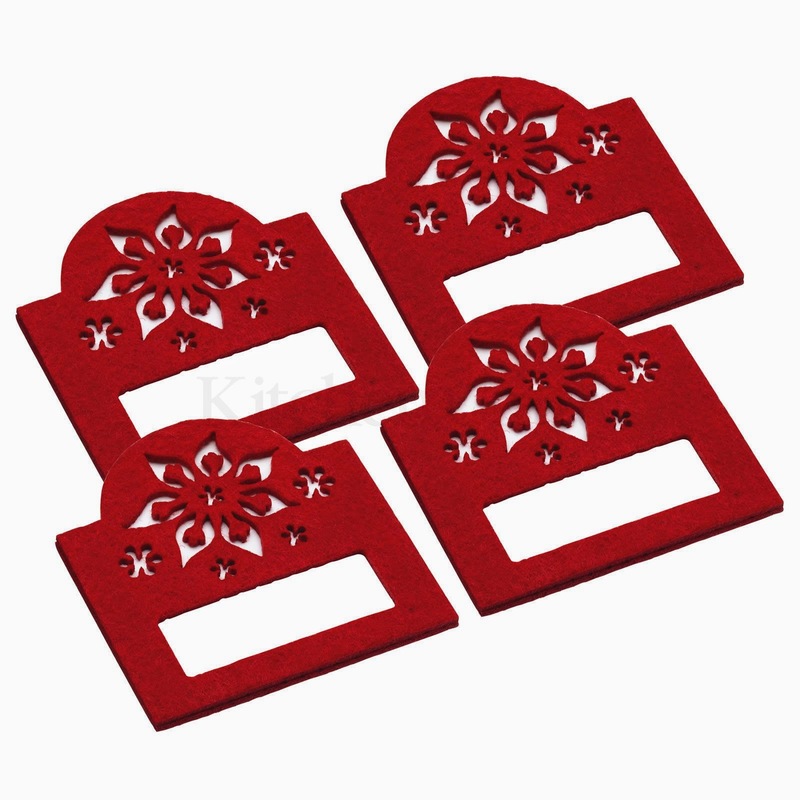 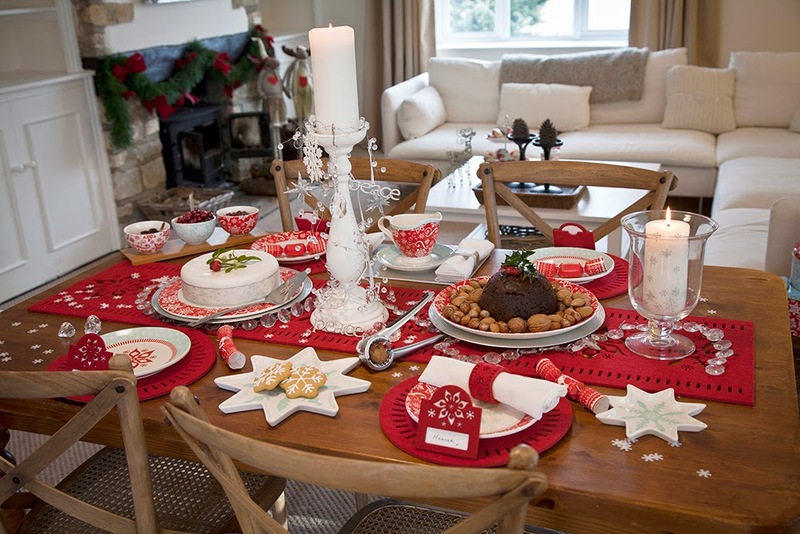 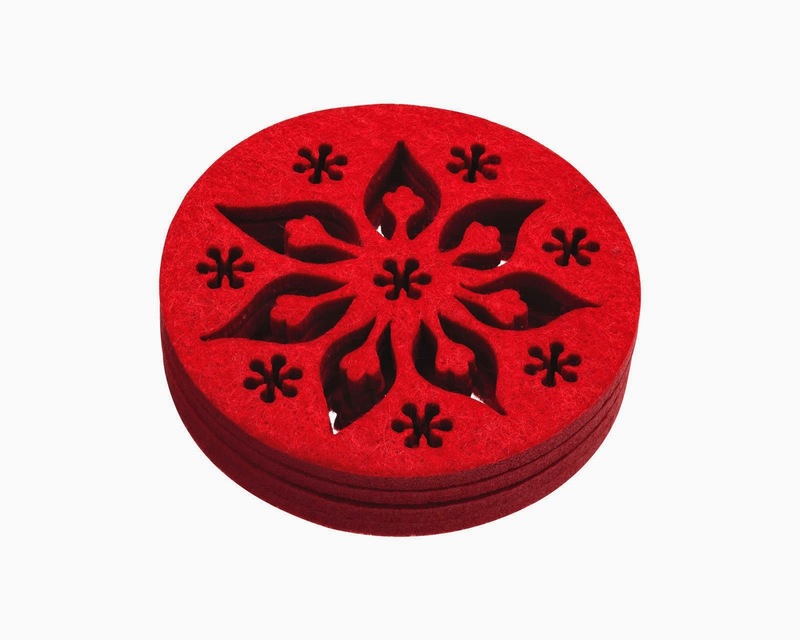 There is also everything you need to make your Christmas table beautiful, including felt coasters, place mats, napkin rings and place mats! 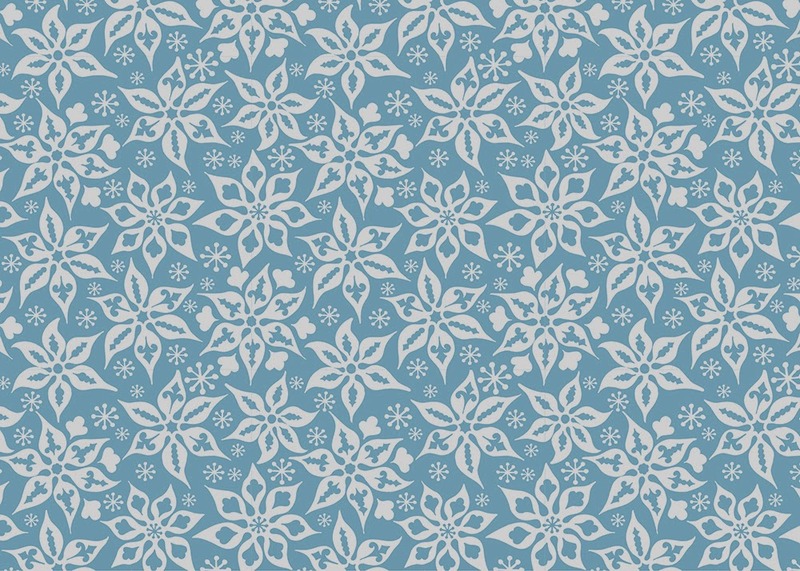 ... or a printed cotton one! 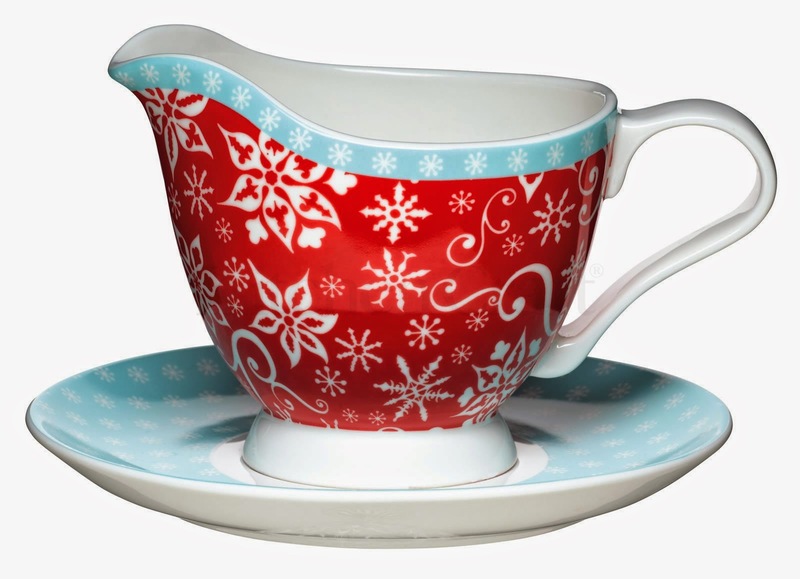 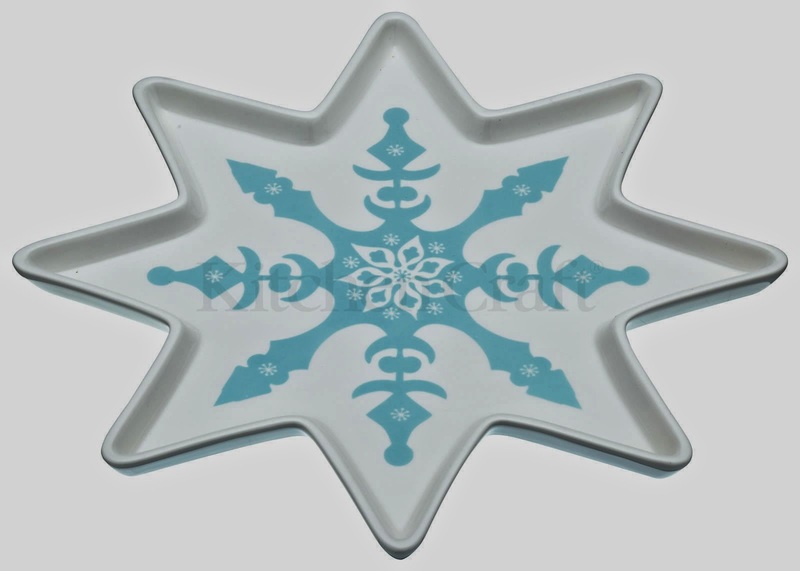 In addition to all the serving platters that I showed you in my last post, there is also a matching snowflake platter and gravy boat to complete your Christmas setting. 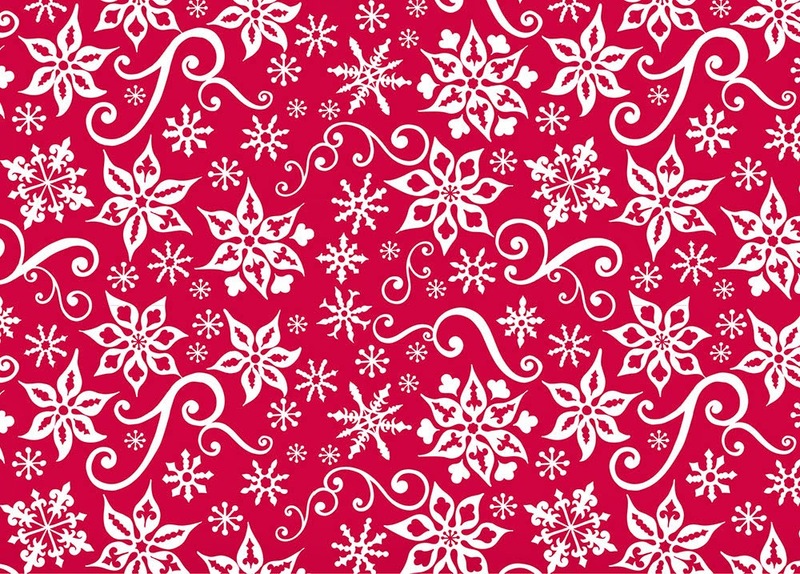 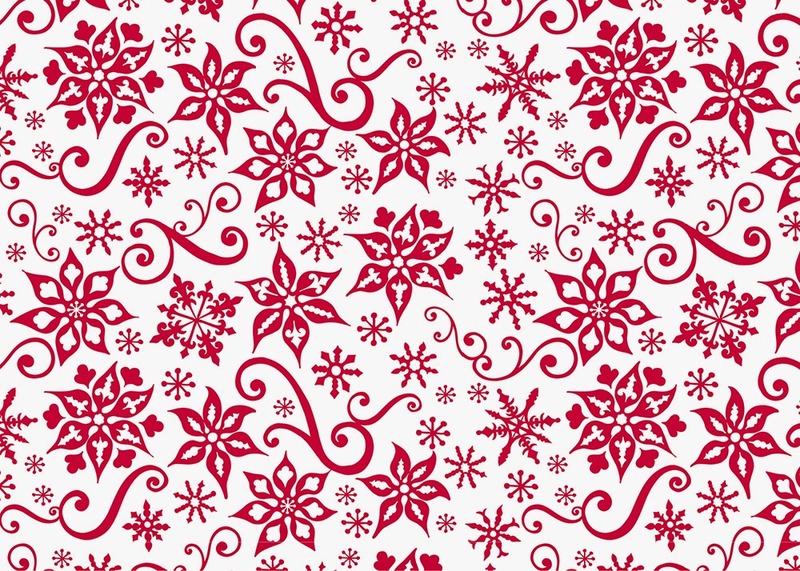 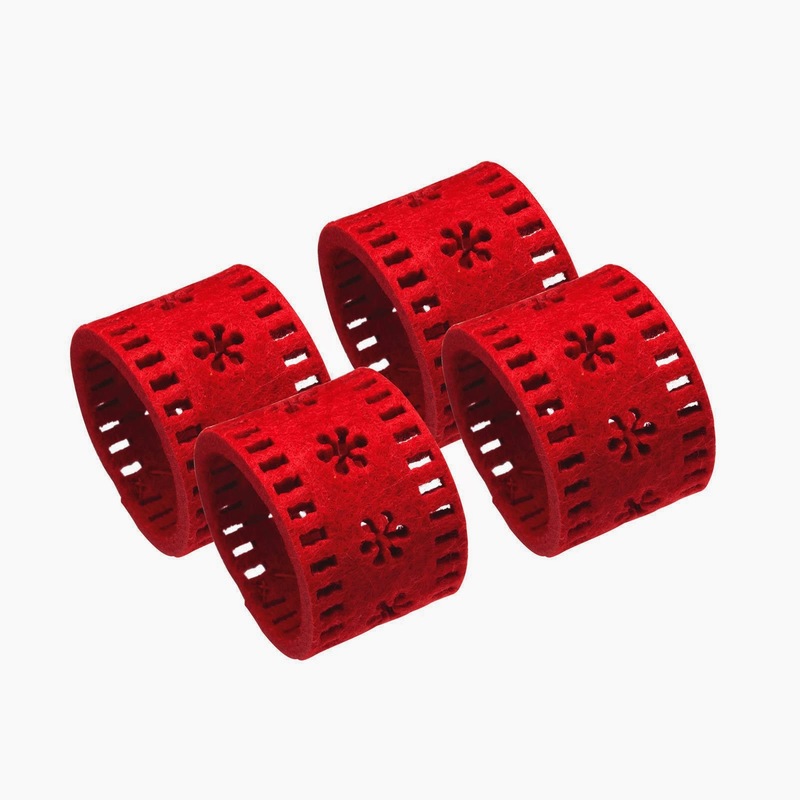 In addition to the three patterns above there is also a more uniform tiny snowflake pattern and a stripe motif. 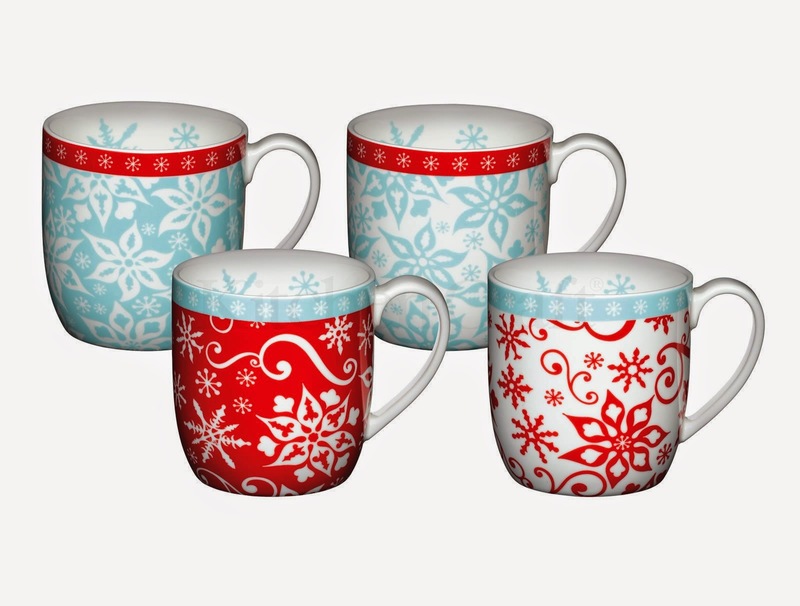 I am a big fan of mix and match patterns within product ranges, so had great fun placing all the different variants together. 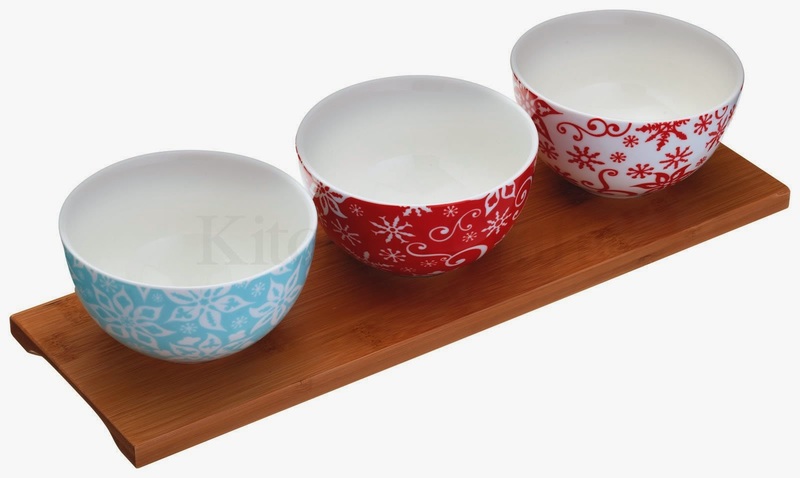 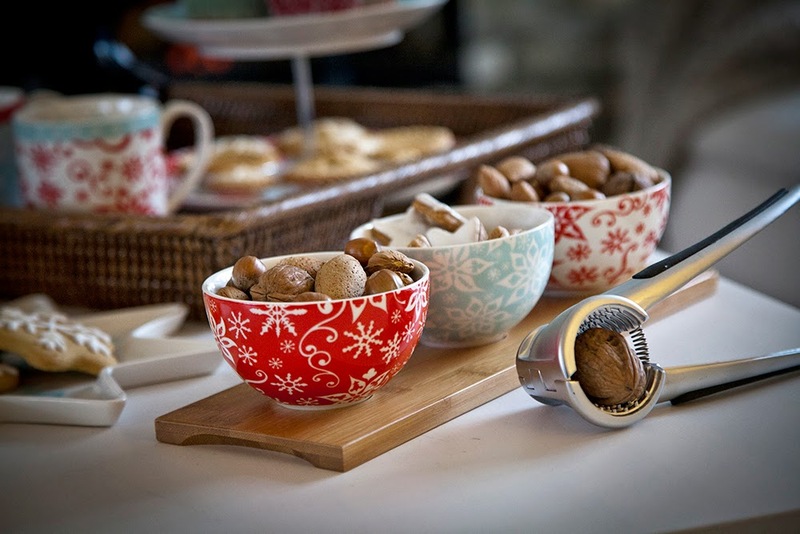 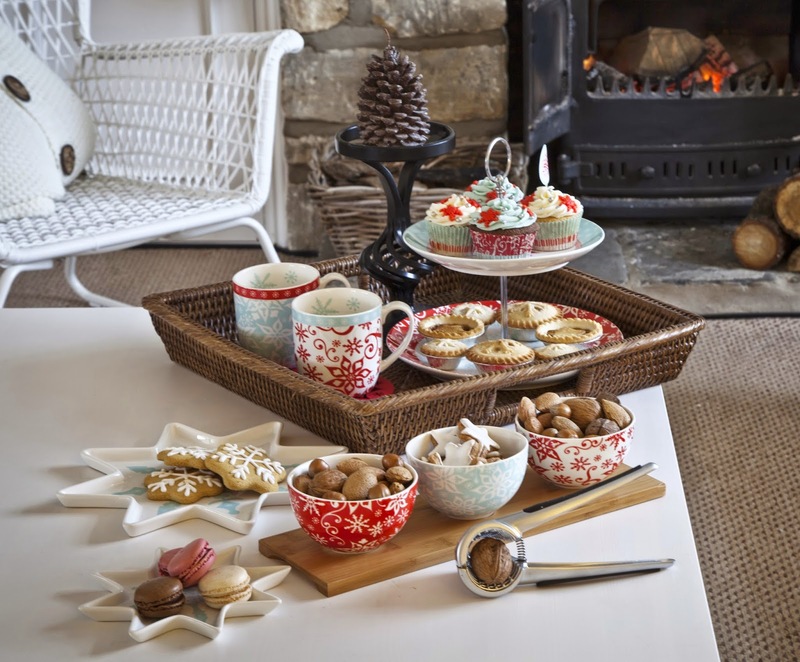 I think it has worked particularly well on the 3 nibble bowl set below, where the patterns combine with the wooden tray for a delightfully warm Christmassy feel! 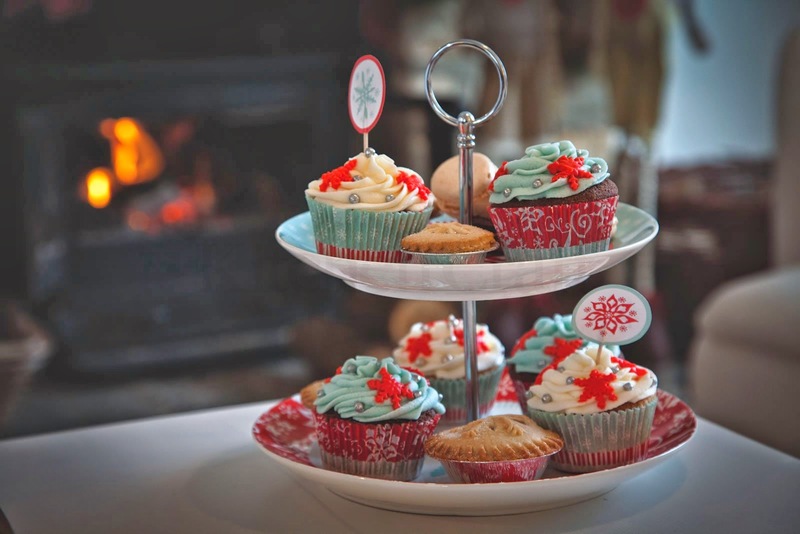 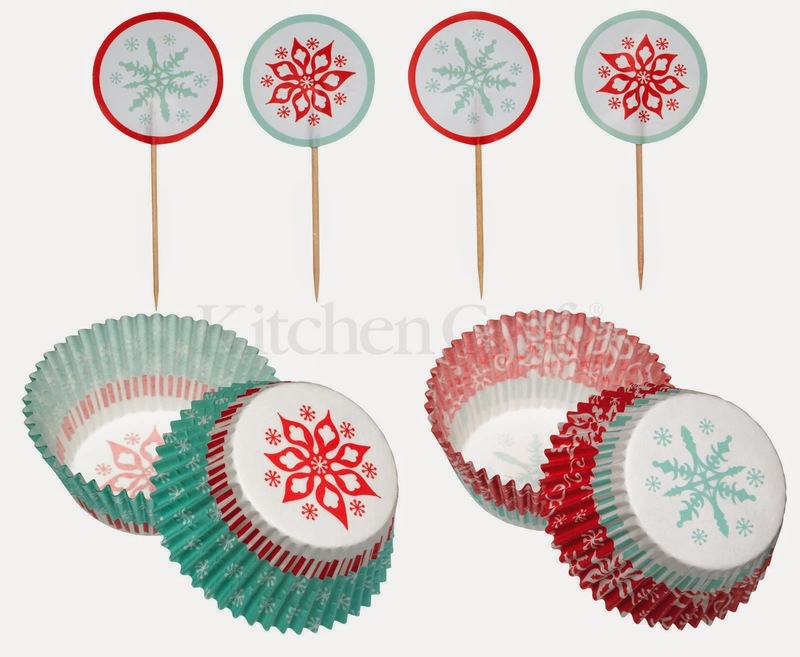 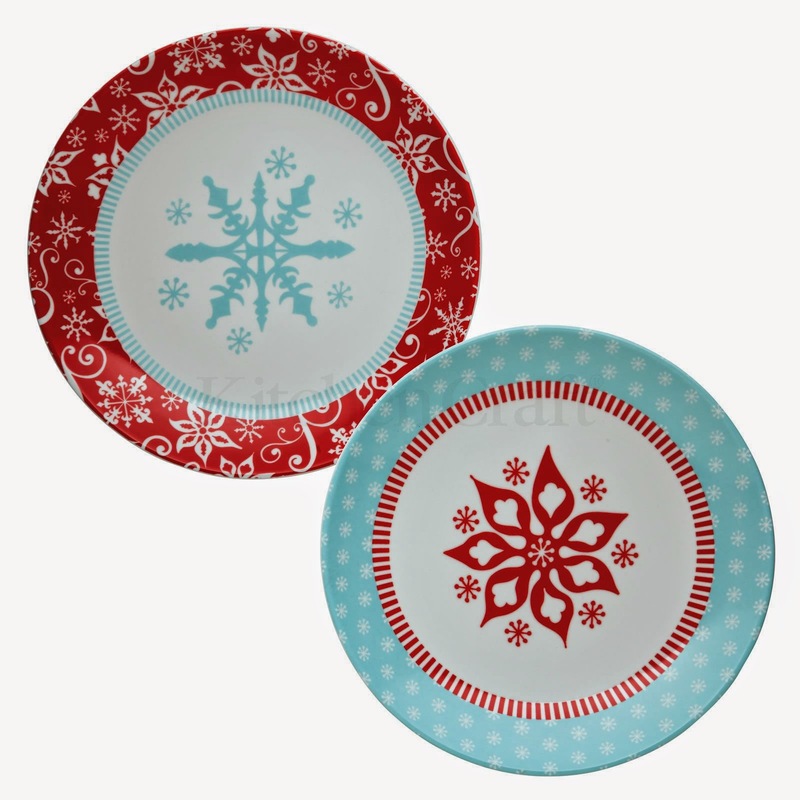 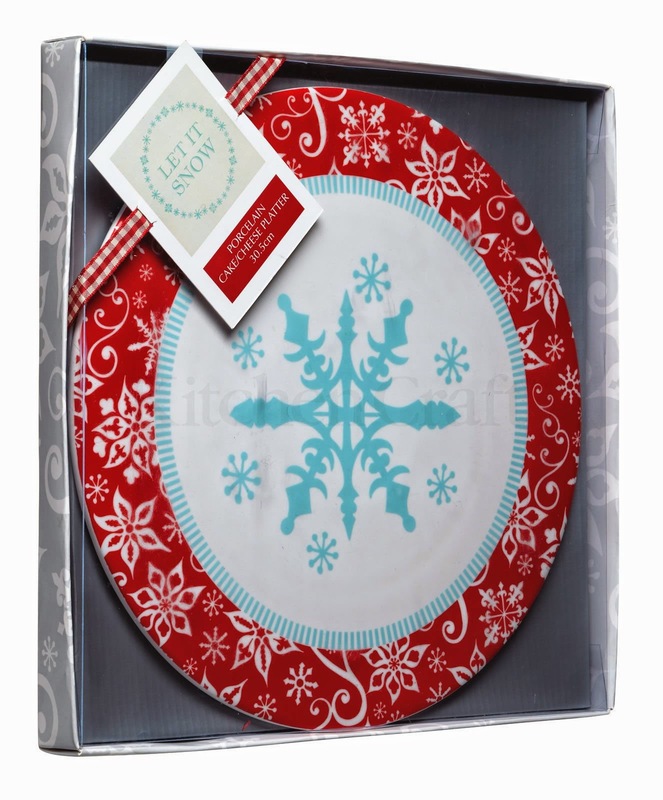 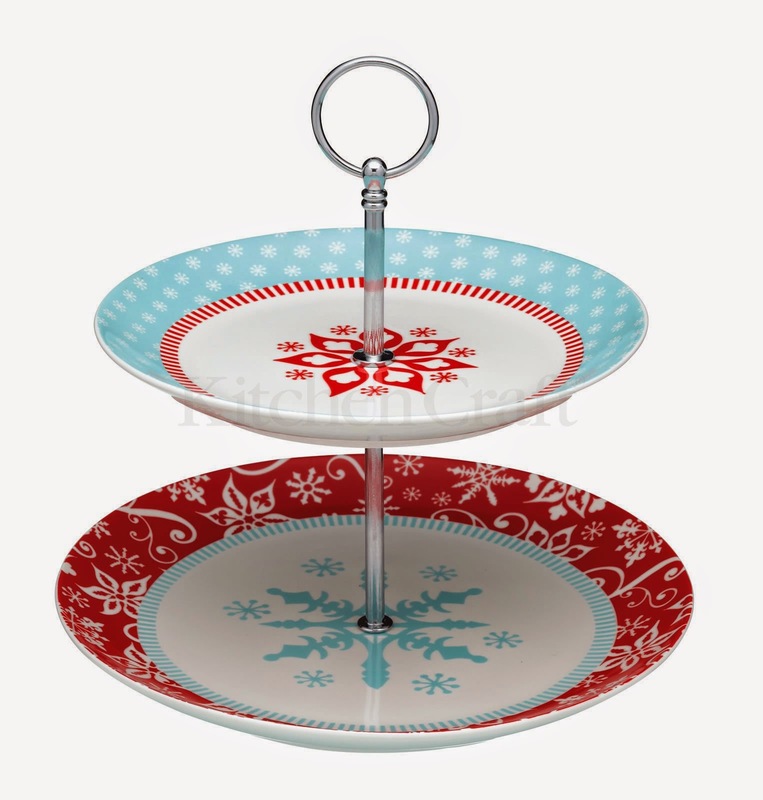 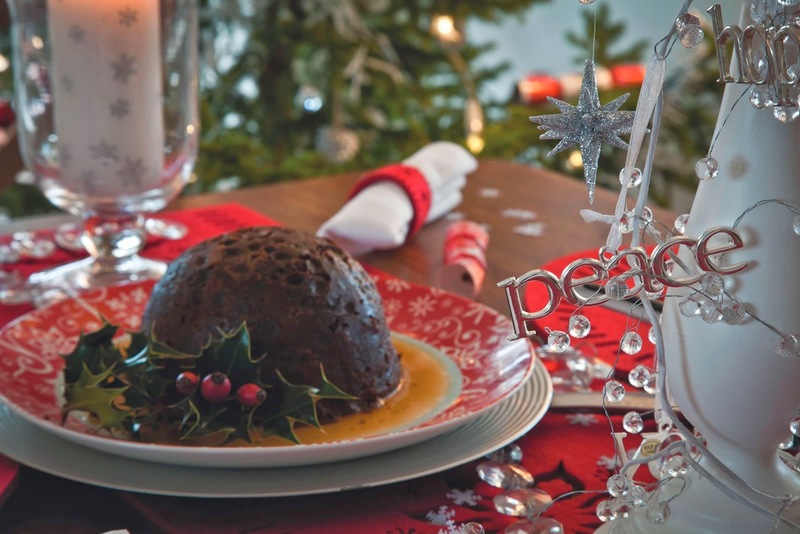 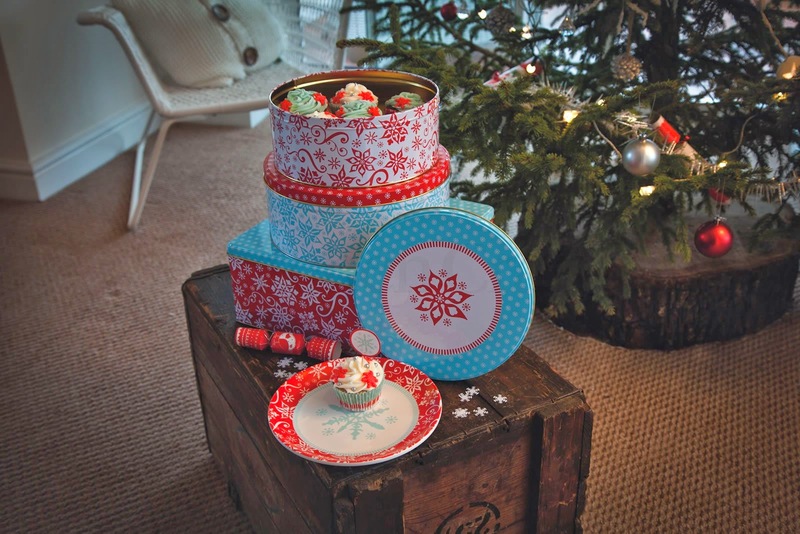 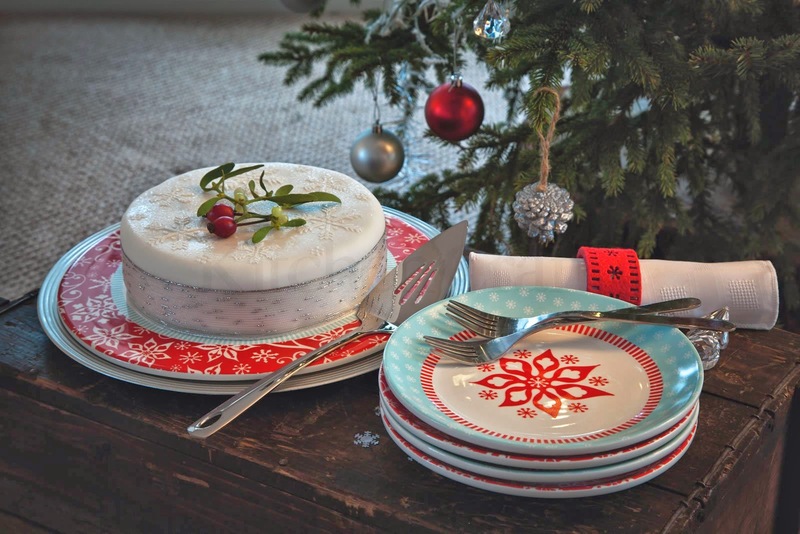 The range has a two tier cake stand with matching cupcake cases, and a selection of different sized cake plates for all manner of Christmas treats from Christmas cakes to Christmas puddings! 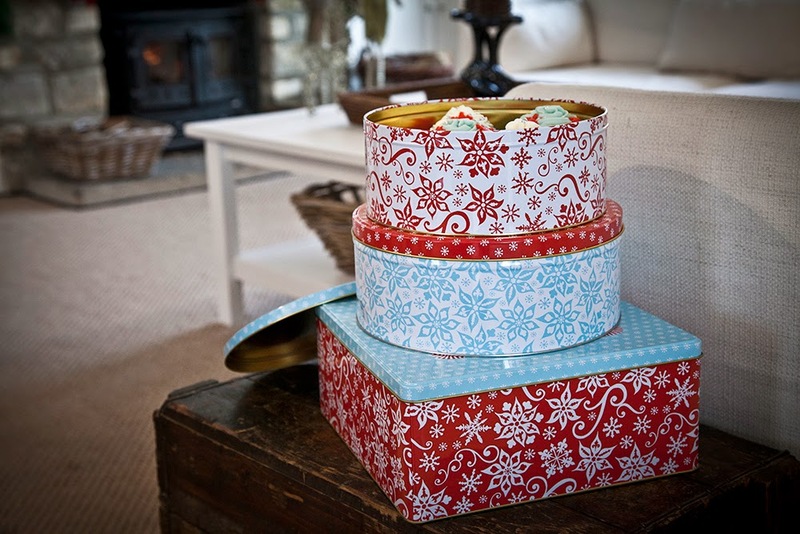 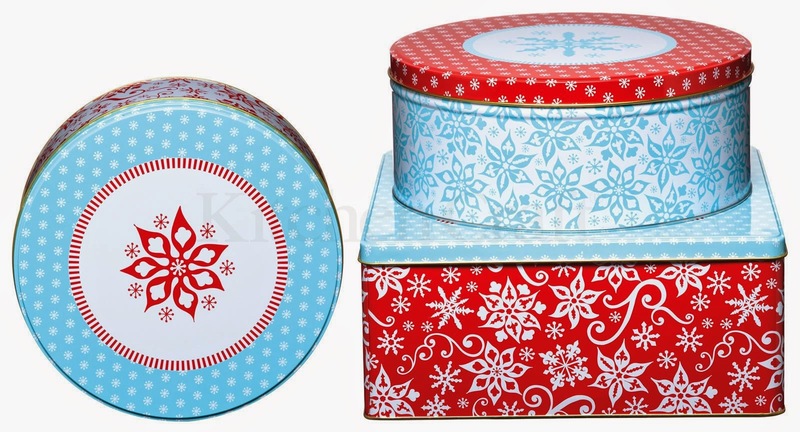 And for cake storage there is a large square cake tin and two sizes of round tin. 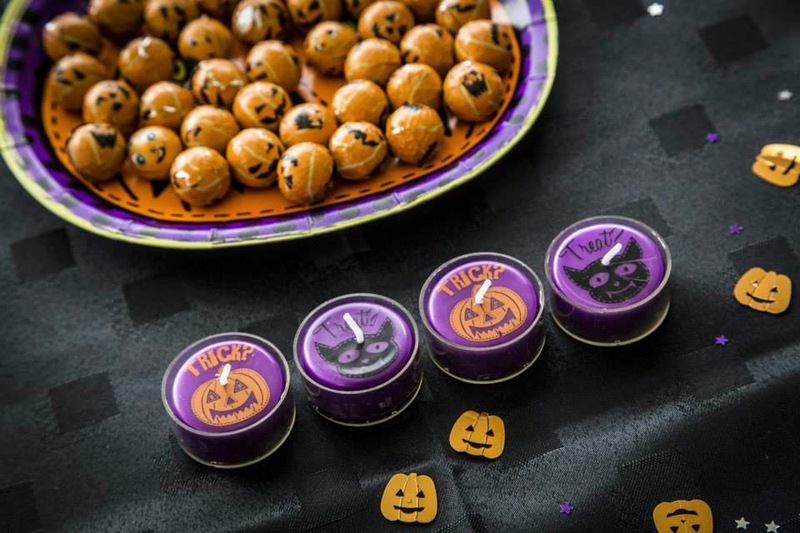 As well as the partyware shown in my previous post, I had to design characters that would work across a variety of baking products and gift bags for the 'Spookily Does It!' 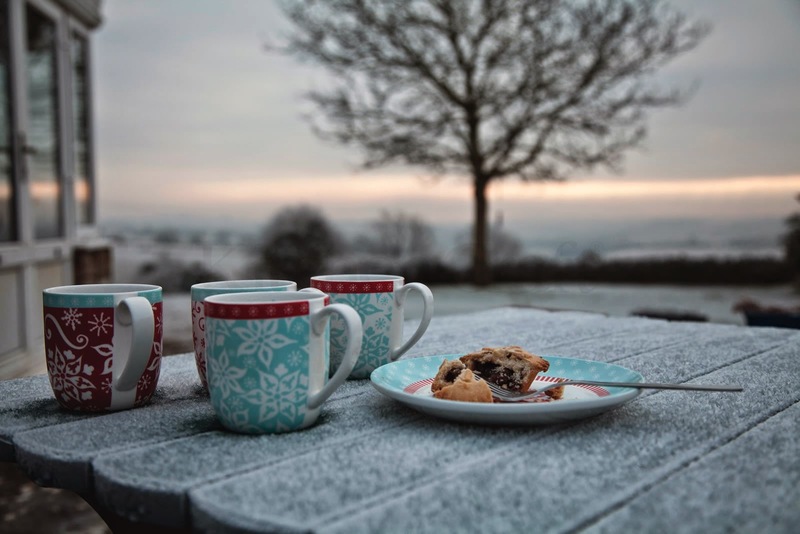 brief. 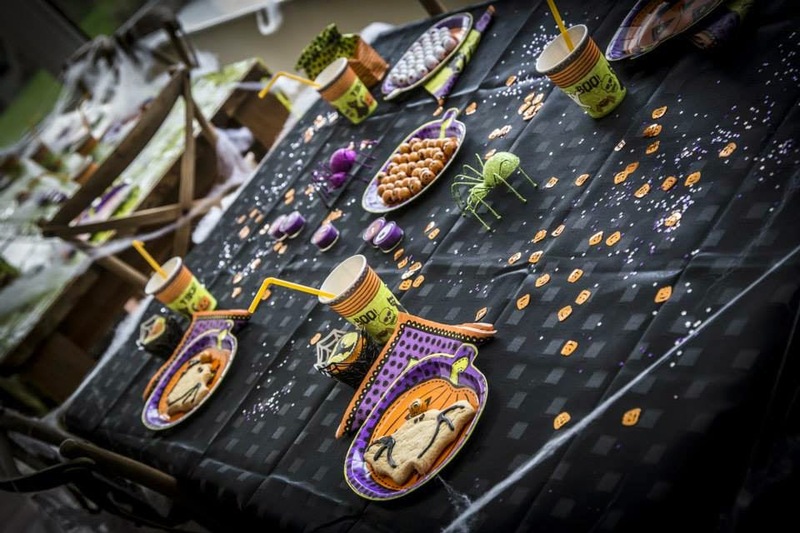 My background is in creating designs for children and the trick when designing characters of this type is that they mustn't be too scary. 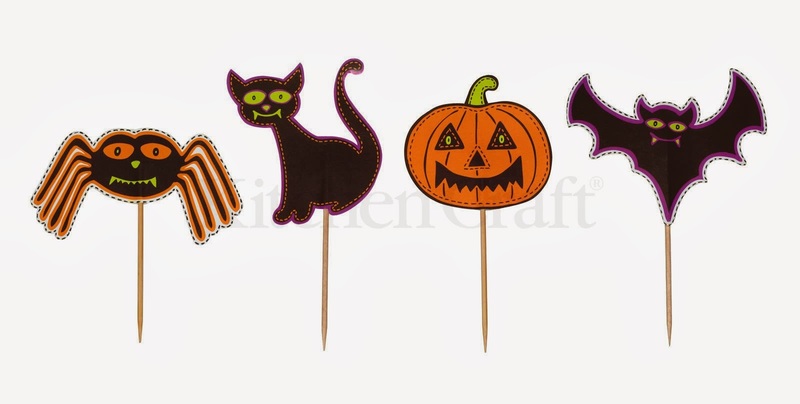 By giving them all slightly smily faces or rounder features than would normally be expected it stops even the most sinister of characters from being too alarming and adds an almost cute feel to the design. 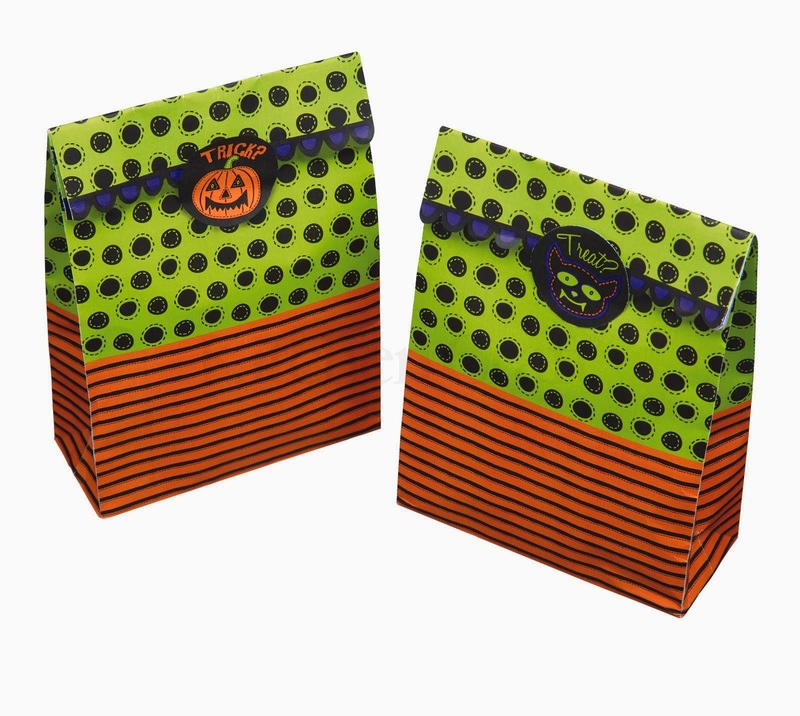 This was important for me as well as the children as I am not a fan of spiders, so by giving the spider character a happy face it made him much easier for me to work with!!! 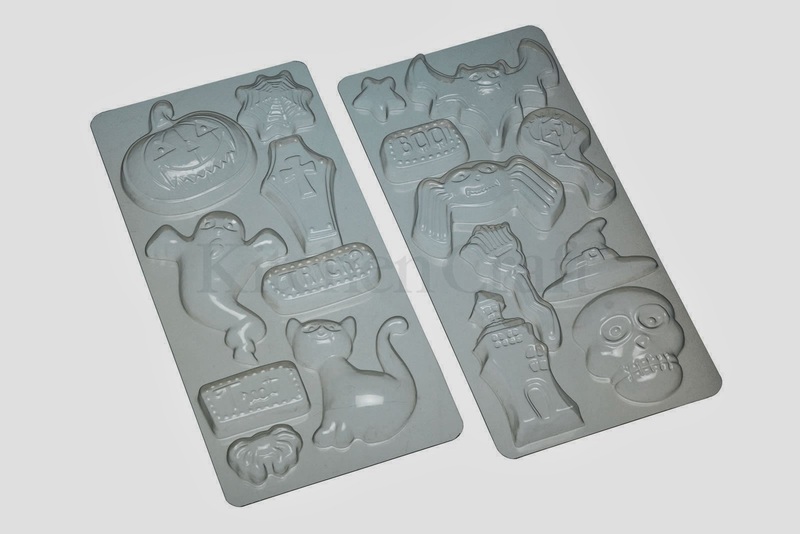 I was asked to use the characters to design some chocolate moulds. 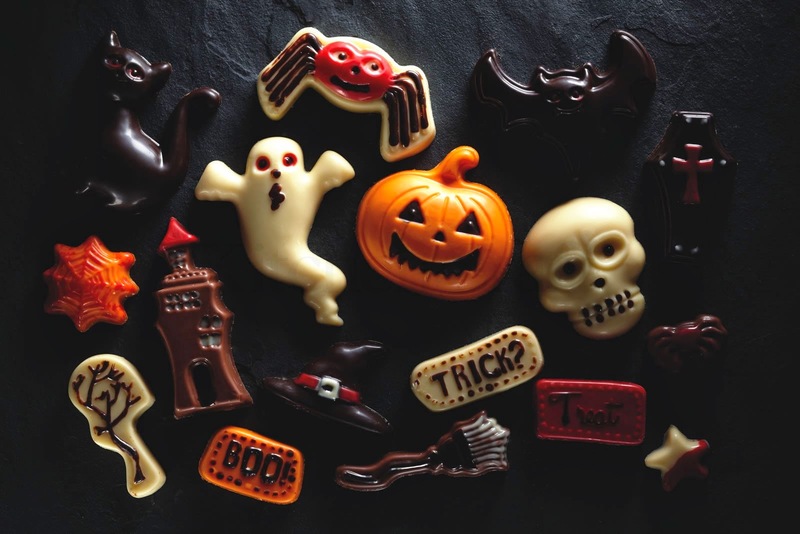 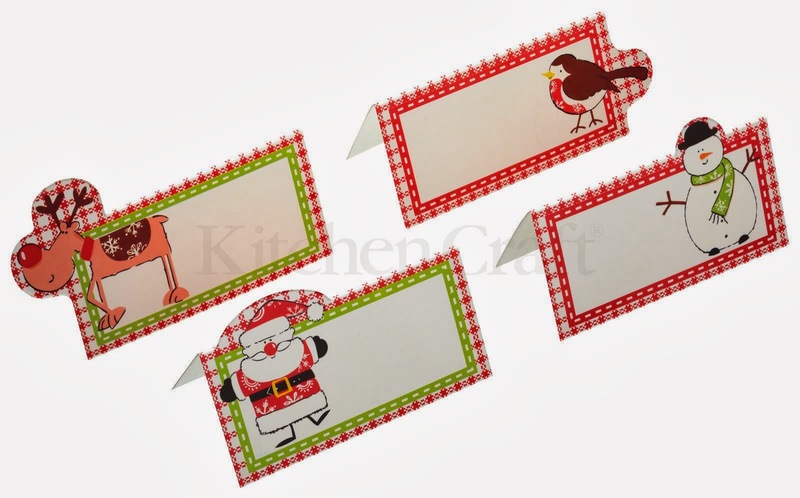 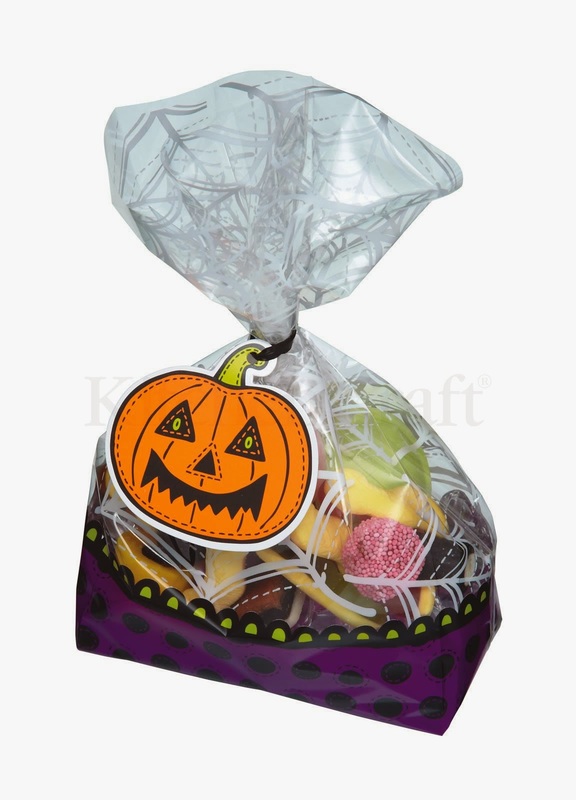 I think they work perfectly for this and as I also designed a variety of treat bags, once you have made them there is a choice of cellophane or paper treat bags in which to present them to your friends! 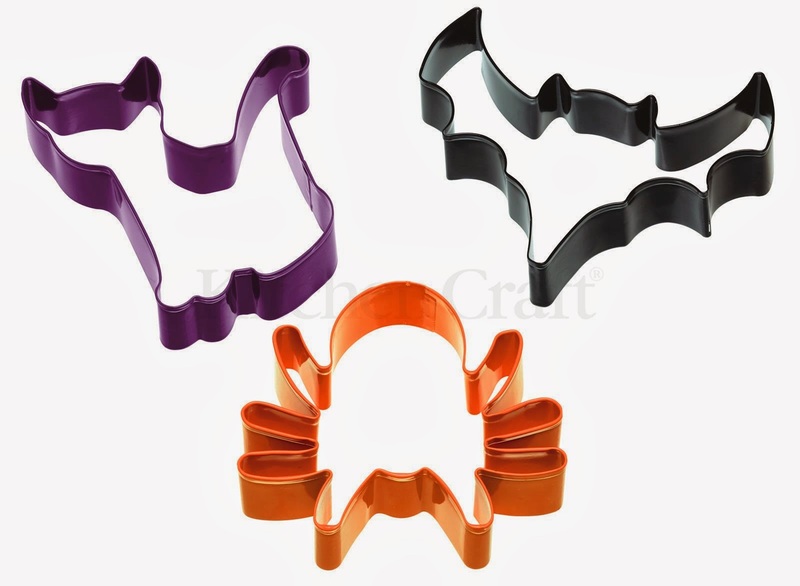 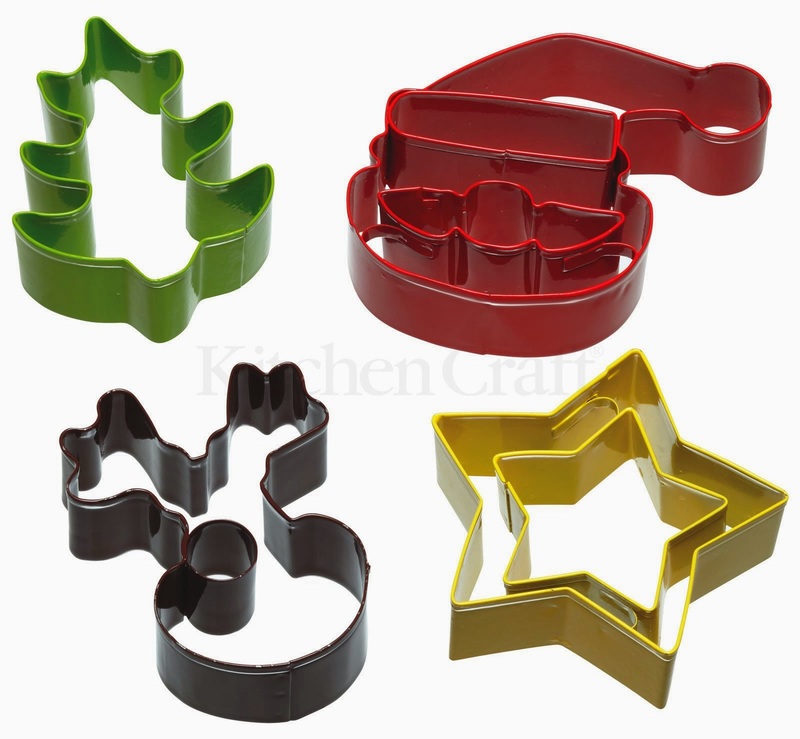 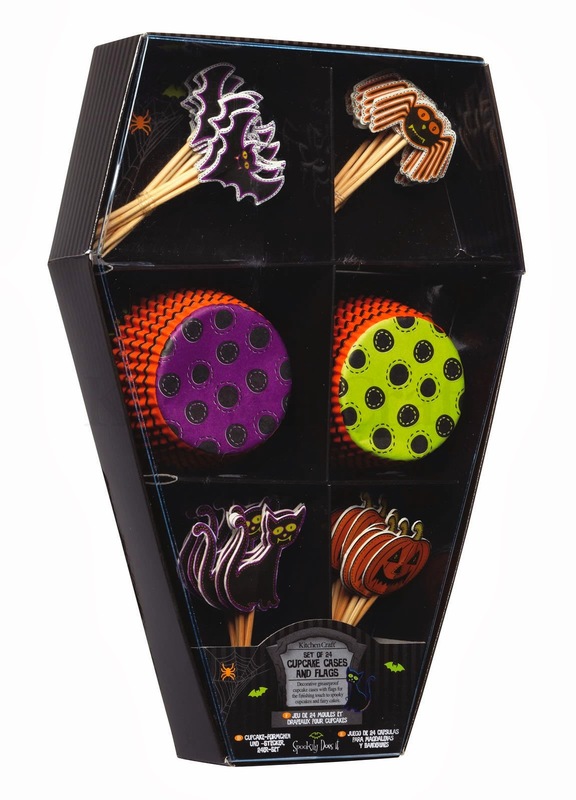 Or if baking is more your thing the characters feature on cookie cutters and in a set of cupcake cases and picks - I just love the way these have been packaged in a coffin shape box! 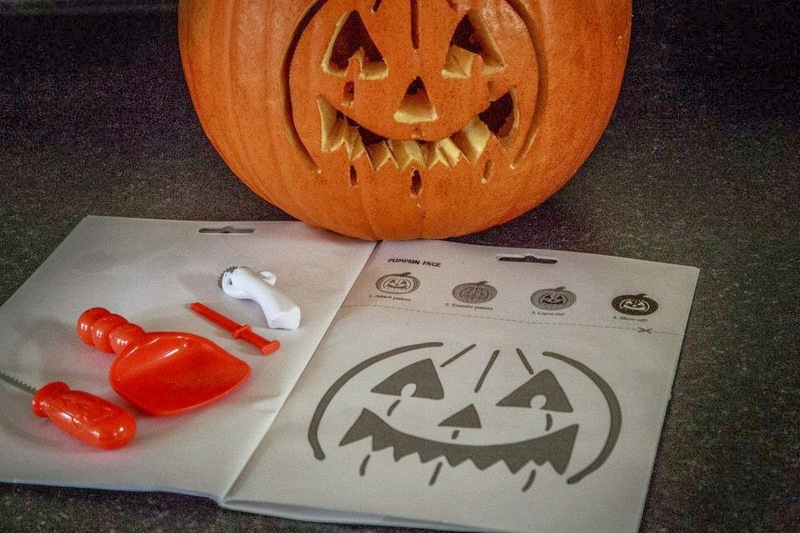 It's really fun! 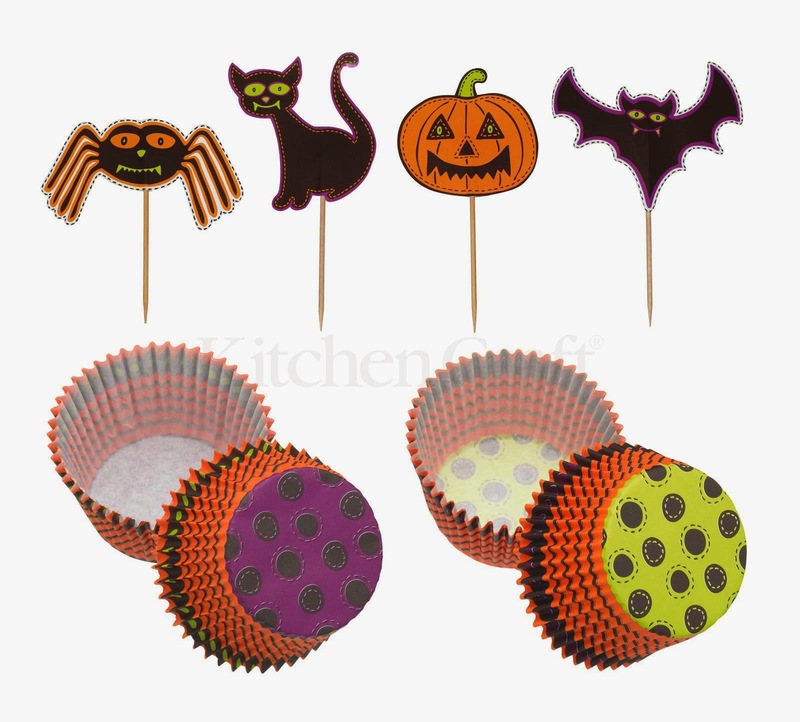 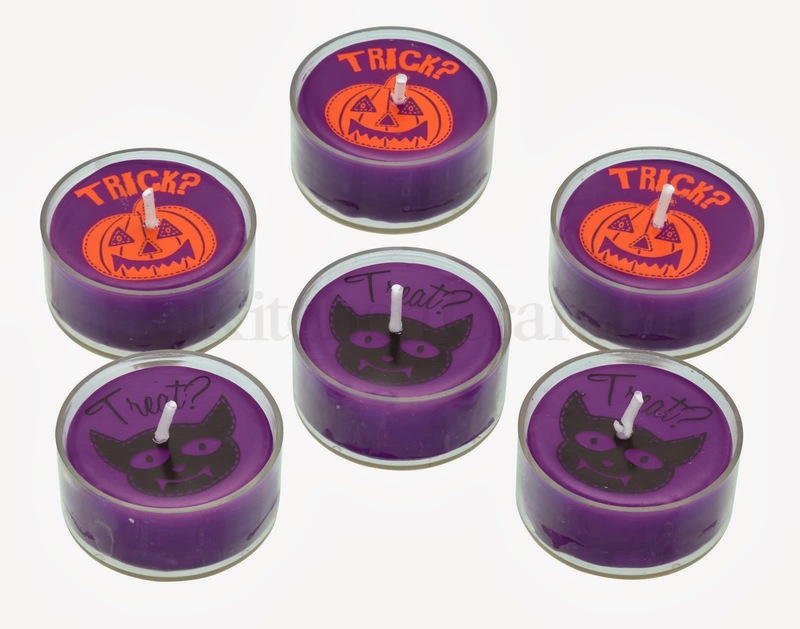 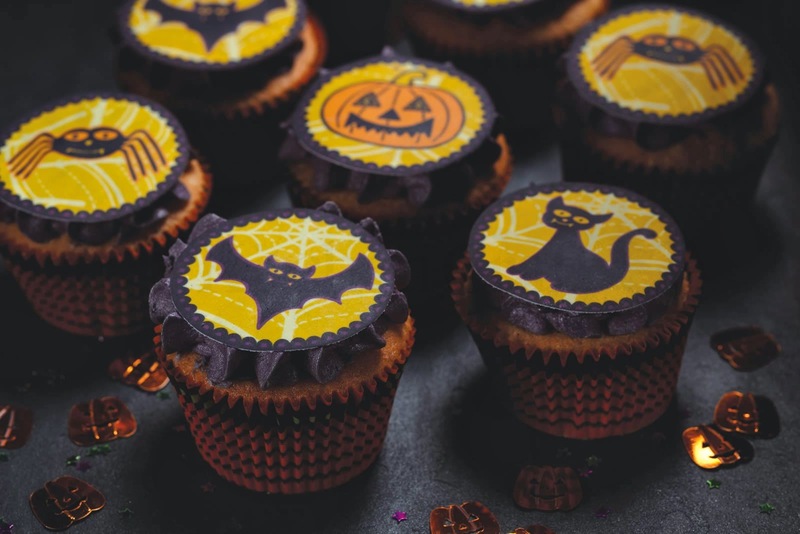 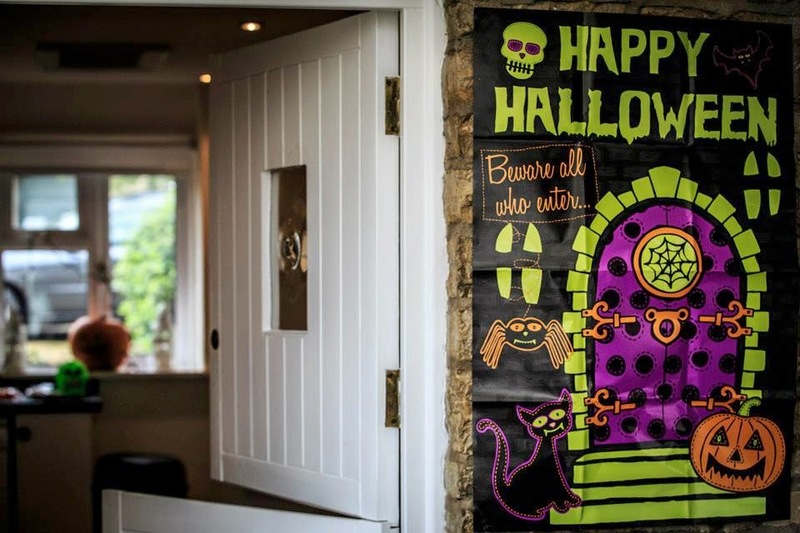 Finally, other items in the range include edible cake toppers, candles and even a pumpkin carving kit!